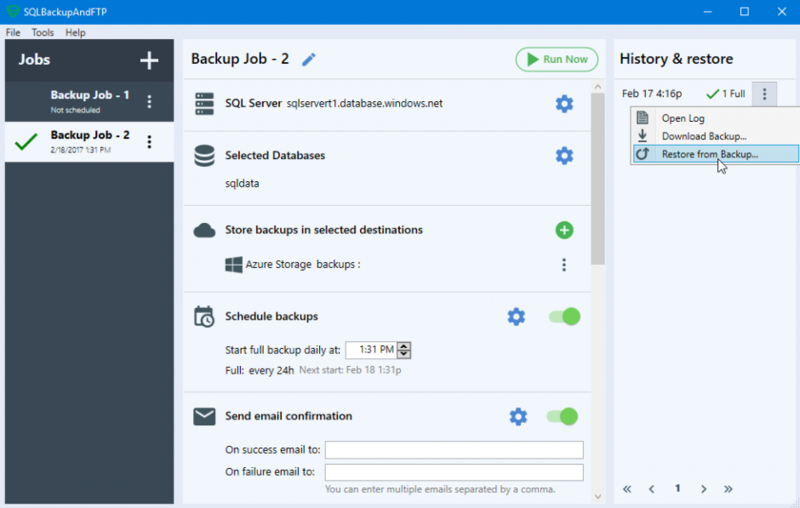 Microsoft calls this procedure Azure Database Export and it significantly differs from the built-in backups at least because it doesn’t save transaction logs and that makes the point-in-time recovery impossible. Nevertheless, it used to be the only way to backup Azure SQL Database when the built-in backup capabilities were not available yet. 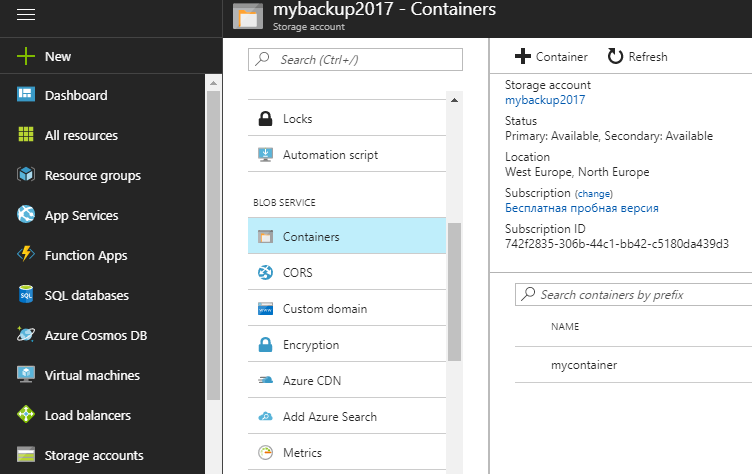 The export procedure produces a BACPAC file, which is intrinsically a ZIP file containing the metadata and data from an Azure SQL database. 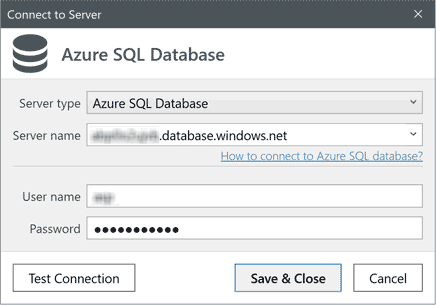 You can download this BACPAC file locally and later import it back to Azure or even into a SQL Server on-premises installation. 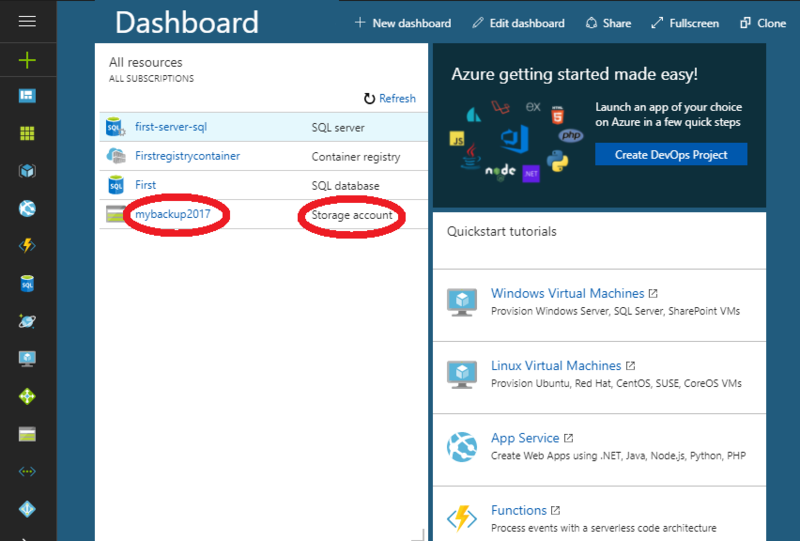 It is necessary to mention that, to guarantee transaction consistency a copy of your Azure Database will be created during the export process. This copy is treated as a second database and is billed as such. So if your database is big enough it might take significant time and money to export it locally. See your server’s name under “Properties”. 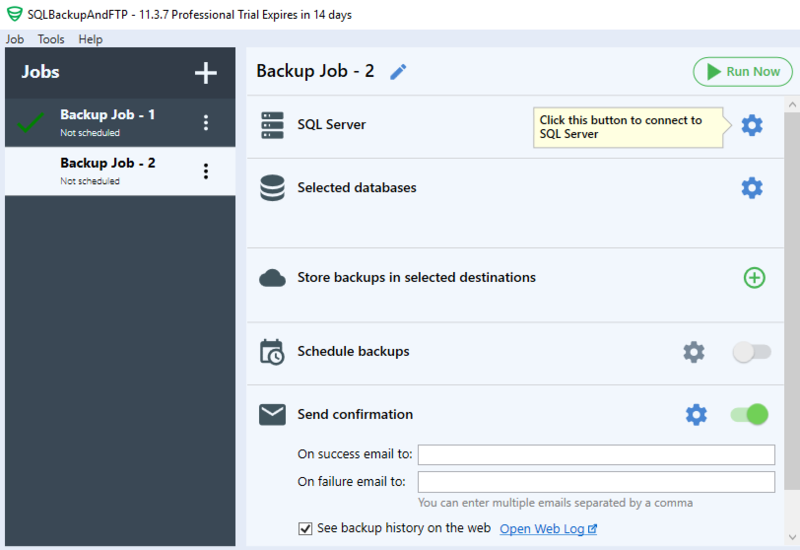 Run SQLBackupAndFTP and click plus button to create a new backup job. 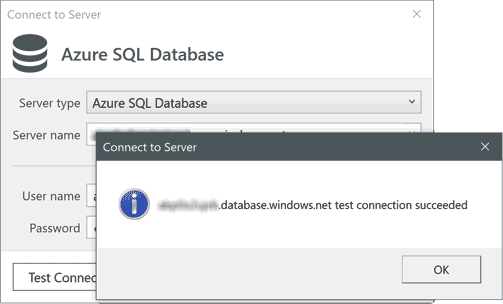 Push the “Test SQL Connection” button, you have to see a message that the connection test succeeded. 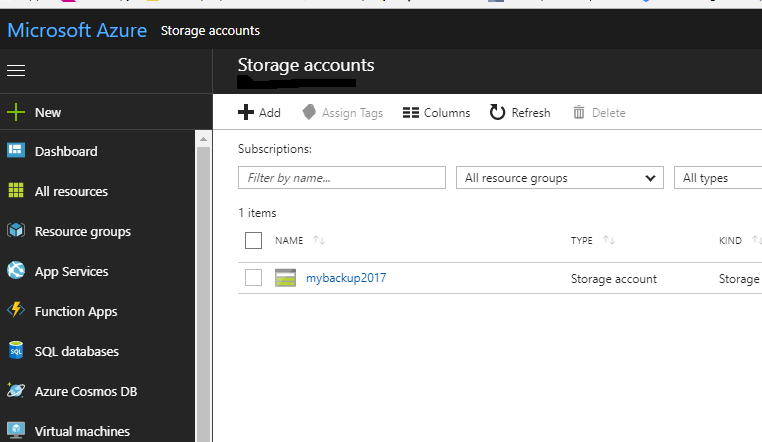 After you have established the connection to your Azure SQL Server select the databases you want to backup. 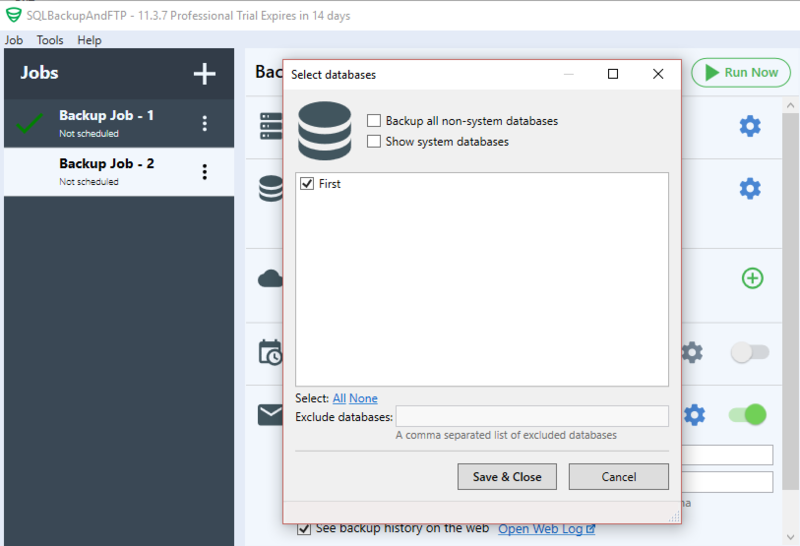 To find the database’s list click on the gear button at the “Selected Databases” section and check on databases you need to backup. 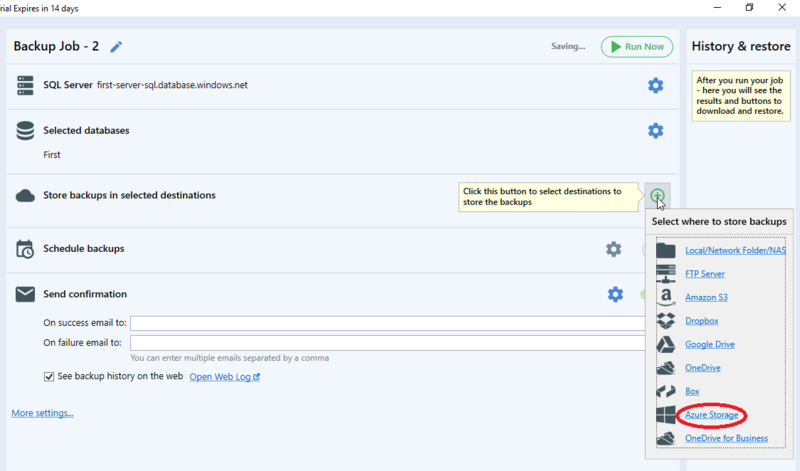 Once you click “Azure Storage” the “Windows Azure Storage Settings” window opens where you need to enter your credentials. You have to prepare your Azure Storage Account and see it in “Microsoft Azure Dashboard page“. 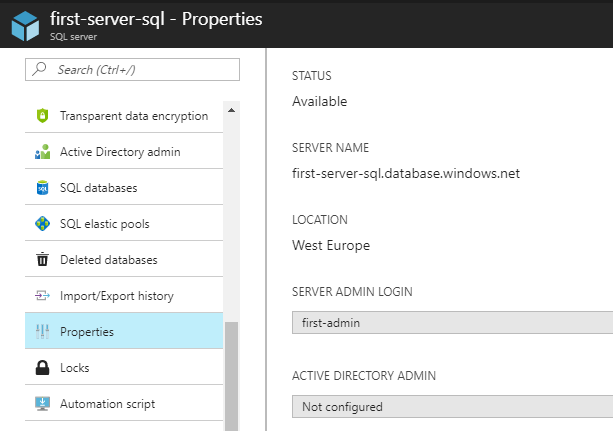 So, these are the data to fill in to the SQLBackupAndFTP window of Windows Azure Storage Settings. To check the connection click “Test”, then press “Save & Close” button to apply all settings. That’s it. 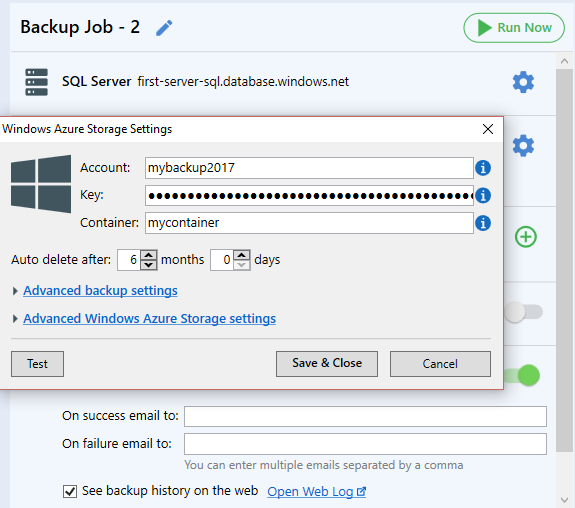 You have just set up scheduled Azure SQL Database backups! The restore process is even easier than the backup process! 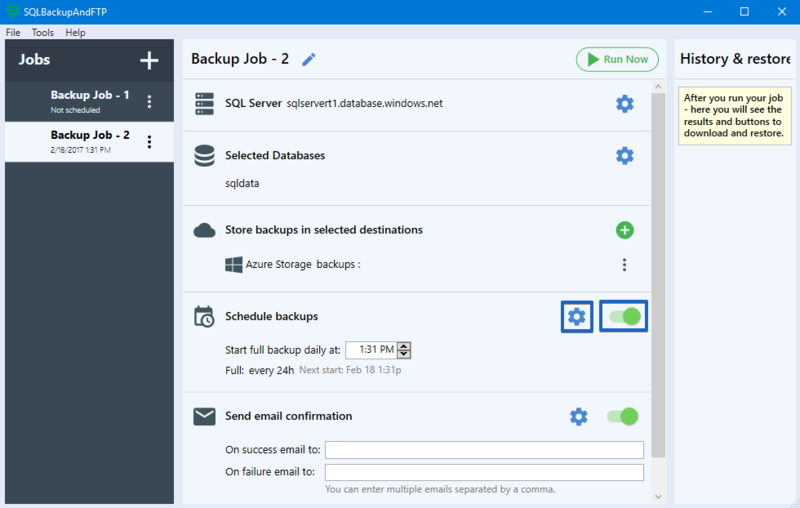 Find the backup you need to restore from the list on the right side of the application. 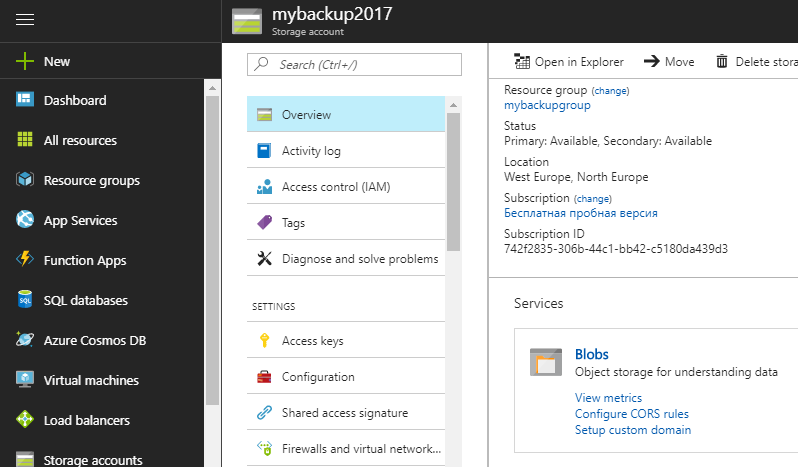 Click on the button next to backup and select “Restore from Backup…”. Here you are! 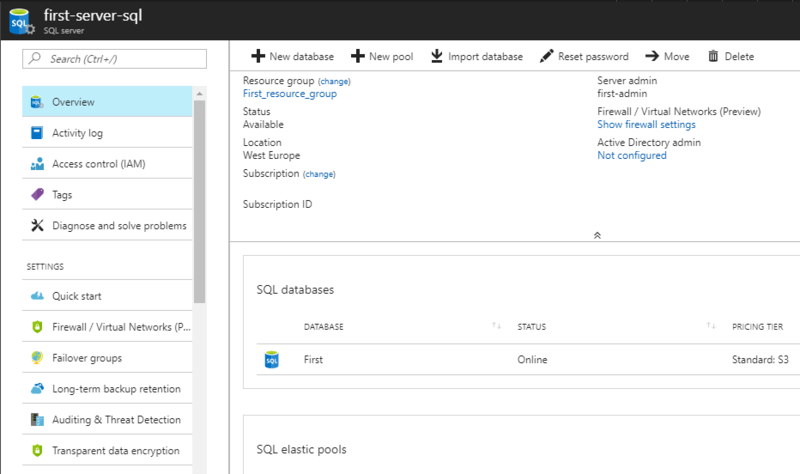 You have just restored Azure SQL Database in a few clicks. The restore function states success, but after editing the data and restoring nothing changes so this seems not to work at all.